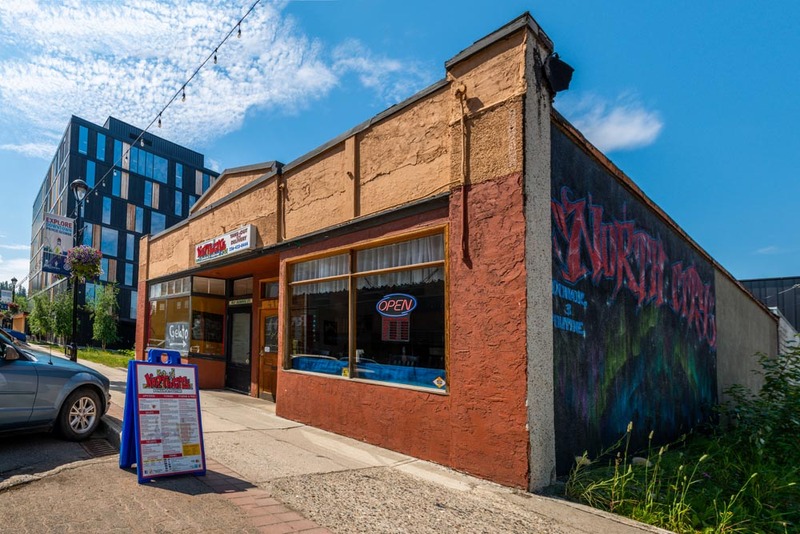 North City Donair & Poutine is excited to open its doors to the good people of PG! 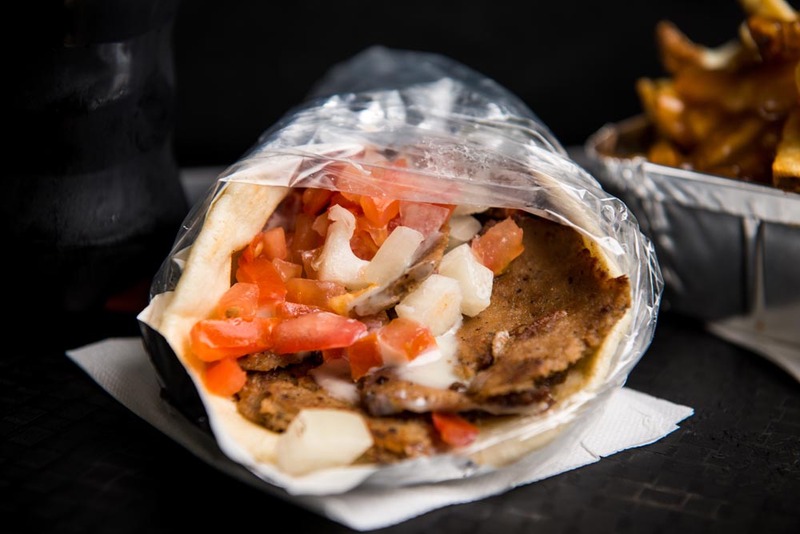 Serving authentic Greek style beef & chicken donairs with mouth watering poutines; all made fresh with real, not processed ingredients. 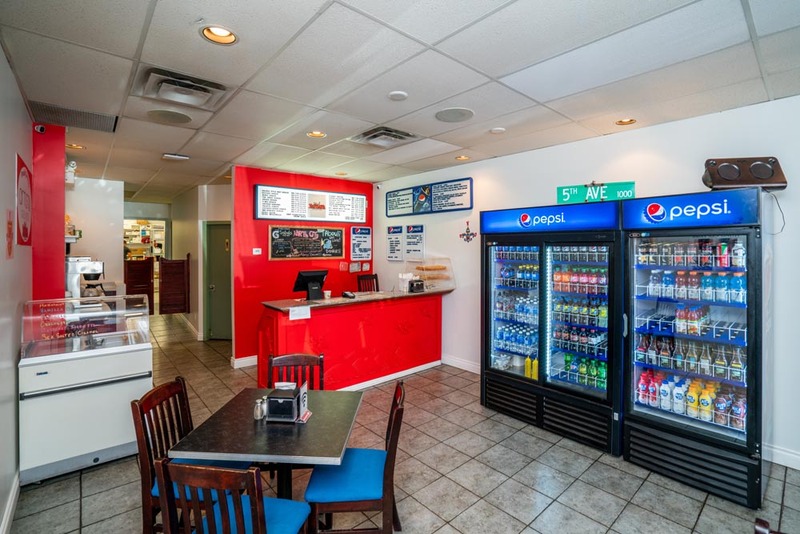 Pick up two of our Halifax style donairs paired with two Pepsi soft drinks. Dine alone or enjoy them with someone special. Not valid with any other offer. Pick up only. Indulge in two Montreal Smoked Meat poutines. Splurge and enjoy this either by yourself or with someone else! 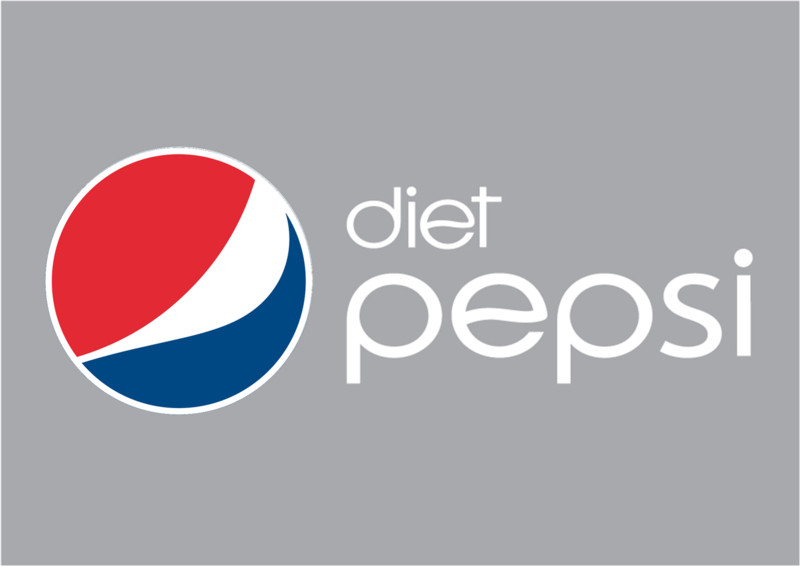 Pick up one of our Halifax style donairs paired with a Pepsi soft drink. A great meal that will leave you feeling full. 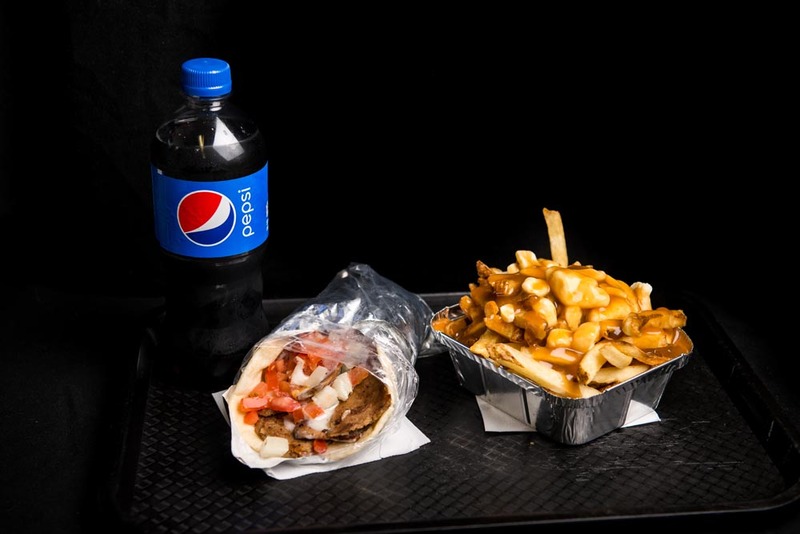 Indulge in our Super Donair paired with a Greek Salad and a Pepsi soft drink. Fries, cheese curd, seasoned chicken, poutine gravy. Fries, cheese curds, onion, mushrooms, seasoned ground beef, poutine gravy. Fries, cheese curds, Montreal smoked meat, pepper, poutine gravy. Fries, cheese curds, sliced donair beef, poutine gravy. Fries, cheese curds, button mushrooms, portobello mushrooms. 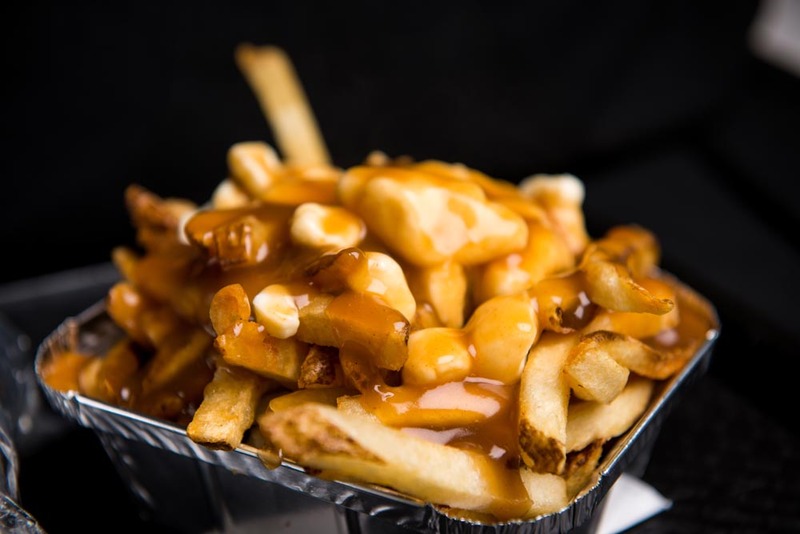 All topped with our signature poutine gravy. Fries, cheese curds, loads of bacon, poutine gravy. Fries, cheese curds, taco beef, tomato, green onion, sour cream, salsa, poutine gravy. 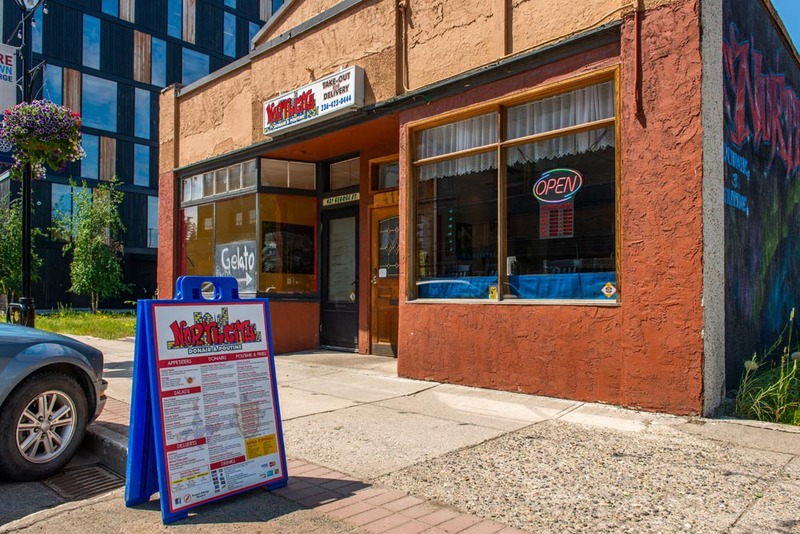 *A Delicious collaboration of The Copper Pig BBQ House and North City Donair. Fries, cheese curds, ground beef, cheddar cheese, poutine gravy. 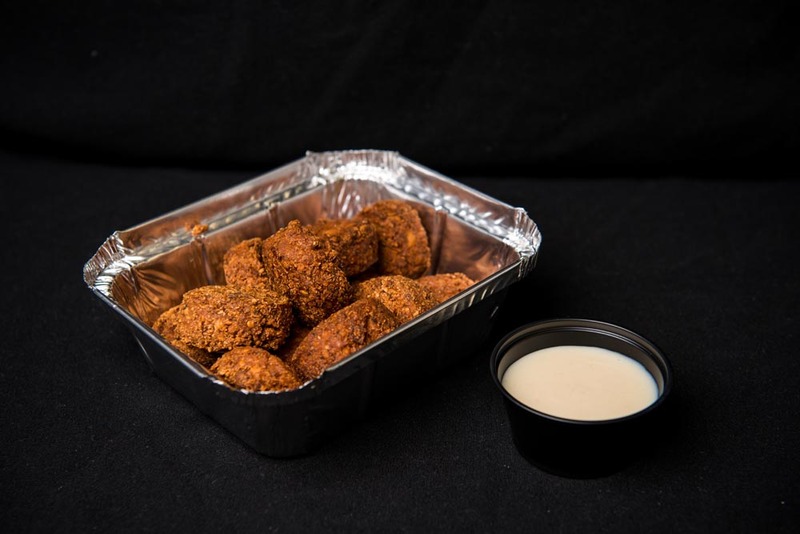 12 falafel balls. Perfect finger sharing food. Comes with your choice of dipping sauce. 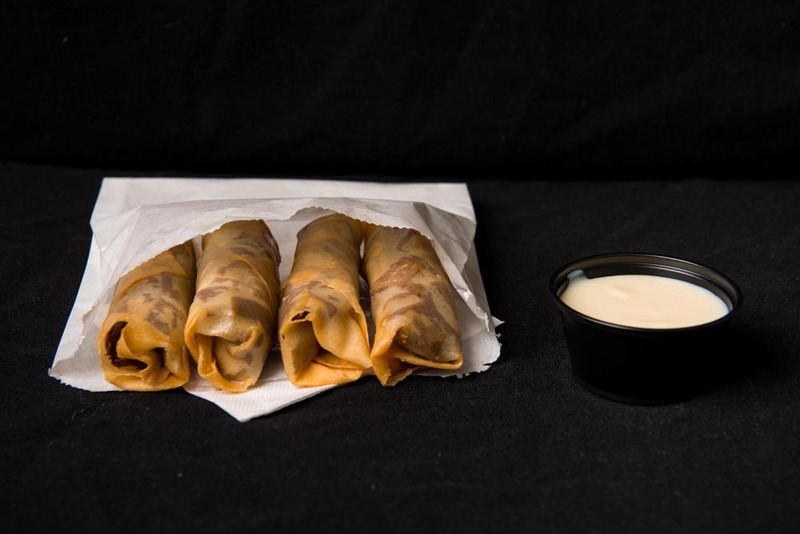 4x Eggrolls filled with donair beef deep fried to perfection. 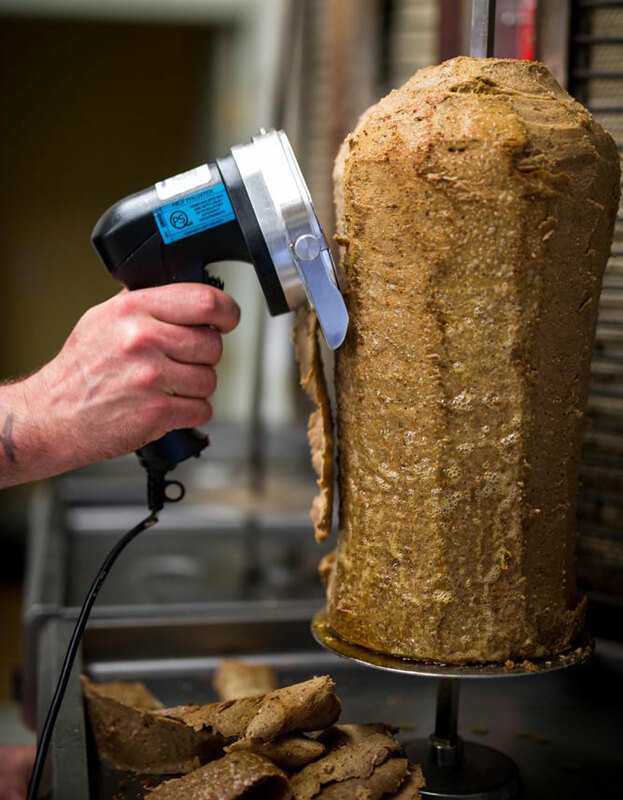 comes with a side of sweet donair dipping sauce. 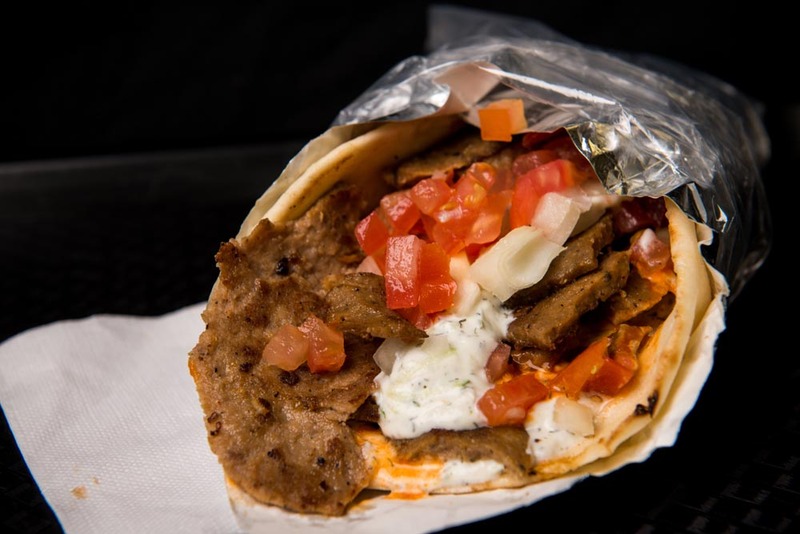 Seasoned donair beef, tomato and onions wrapped in a warm pita. 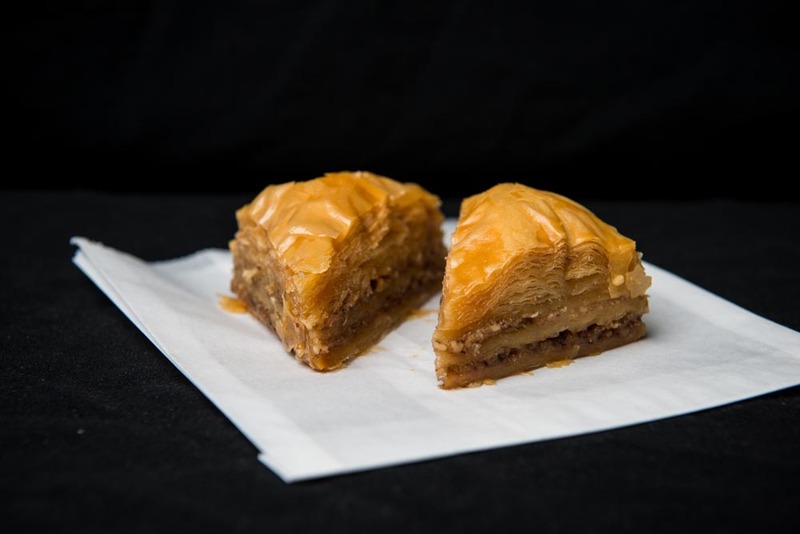 Your choice of Sweet Donair sauce, Tzatziki, Garlic sauce, or Hummus. 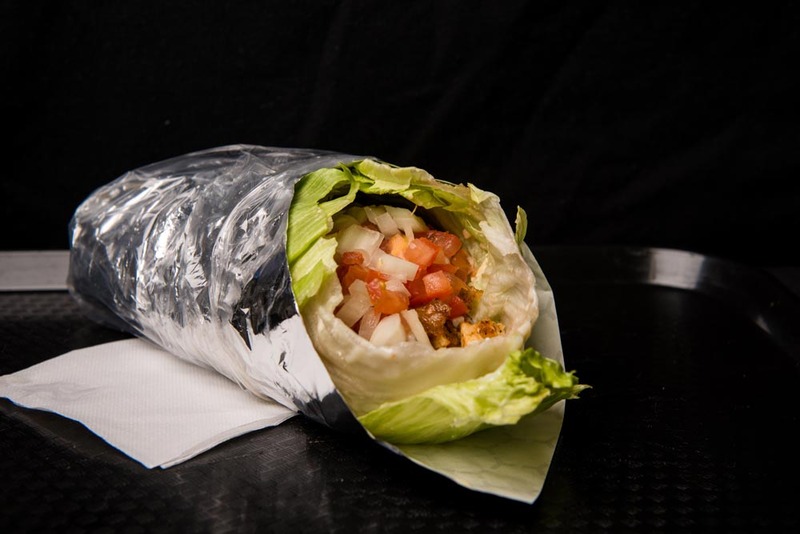 Mediterranean chicken, tomato, lettuce and onions wrapped in a warm pita. Your choice of Sweet Donair sauce, Tzatziki, Garlic sauce, or Hummus. Mediterranean spiced chicken, pickled red cabbage, onions, olives and tomato filled in a warm pita. Your choice of Sweet Donair sauce, Tzatziki, Garlic sauce, or Hummus. 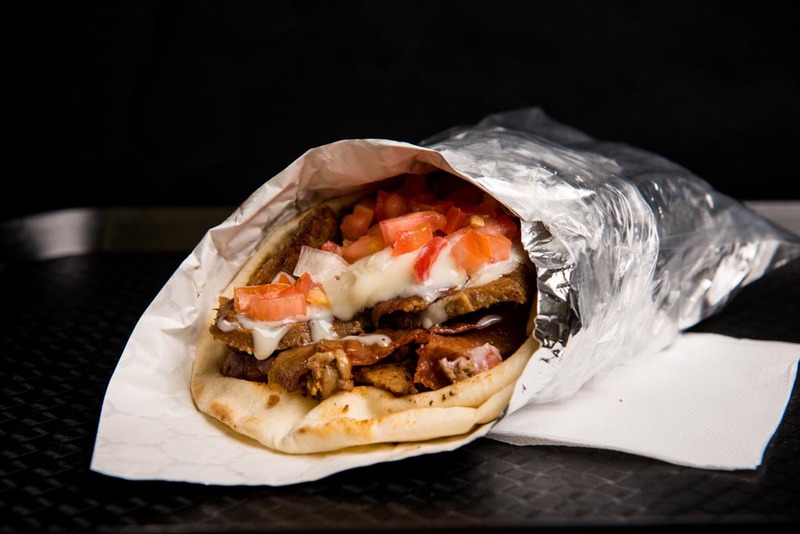 Chicken and donair beef, mozzarella, bacon, tomato and onions, wrapped in a warm pita. Your choice of Sweet Donair sauce, Tzatziki, Garlic sauce, or Hummus. Veggie meat, cucumber, tomato, lettuce, onions and black olives stuffed inside a warm pita. Your choice of Sweet Donair sauce, Tzatziki, Garlic sauce, or Hummus. 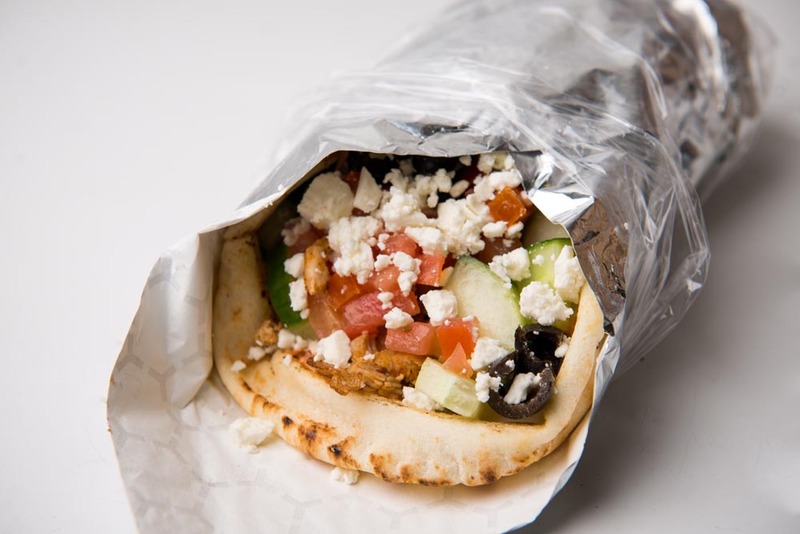 Mediterranean chicken, feta cheese, tomato, cucumbers, black olives and red onions wrapped in a warm pita. Your choice of Sweet Donair sauce, Tzatziki, Garlic sauce, or Hummus. Chicken, donair beef, Montreal smoked meat, bacon, mozzarella cheese, tomato, onion. Your choice of Sweet Donair sauce, Tzatziki, Garlic sauce, or Hummus. Falafel, lettuce, tomato, cucumber, onion, black olives with your choice of Sweet Donair sauce or Tatziki. Chicken, bacon, lettuce, mozzarella, parmesan cheese, red onion with creamy caesar dressing. Sliced Donair beef tossed in BBQ sauce, cheddar, bacon, Sauteed onions, button mushrooms and Portobellos wrapped in a warm pita. 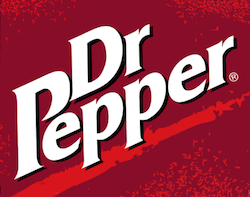 With your choice of sauce. A deconstructed Super Donair on a bed of lettuce. No Pita. Romain/ Head Lettuce mix, mozzarella, bacon, mediterranean chicken, Donair Beef, tomatoes and onions. Your choice of Salad Dressing or Sauce. 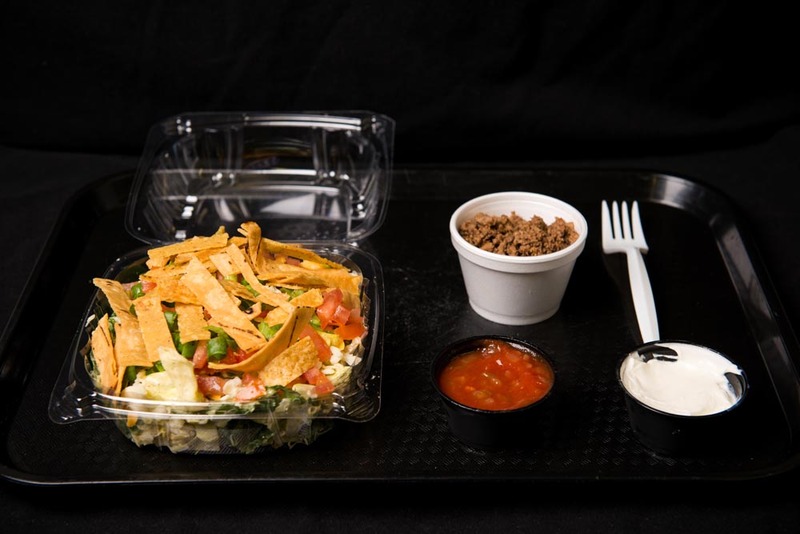 Avocado ranch poblano dressing, romaine / head lettuce mix, taco beef, green onions, tomatoes, mozzarella, shredded tortillas, salsa, sour cream. Caesar dressing, romaine / head lettuce mix, twice cooked bacon bits, croutons, parmesan, sliced red onion rings. A Lebanese Couscous Salad made with parsley, mint, tomatoes, green onions, cucumbers, lemon juice & olive oil. 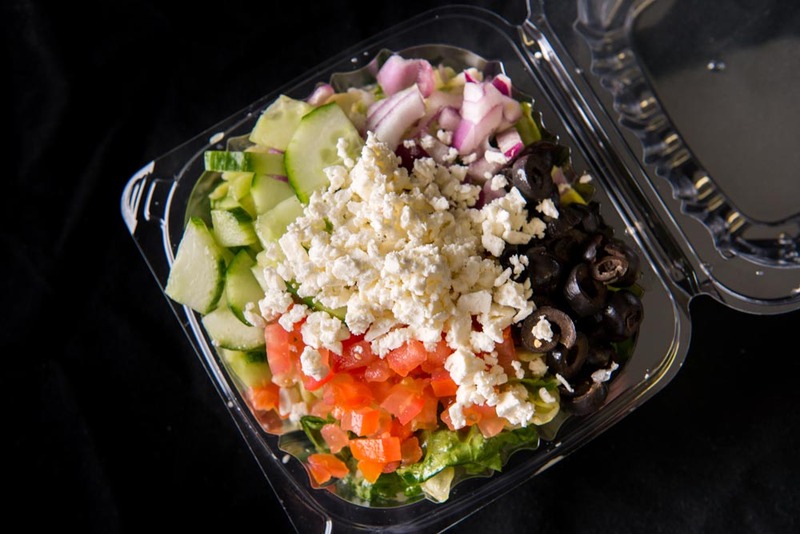 Greek dressing, romaine / head lettuce mix, red onions, cucumbers, tomatoes, black olives, feta. Delivery fee is $6. extra $3 for every additional 5km. Cash/ debit / credit card accepted. 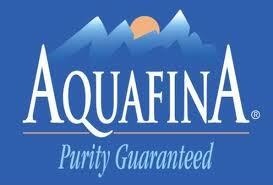 Yes we deliver to the Heart & College Heights surrounding areas. 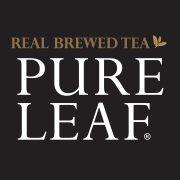 Serving the best local organic coffee roasted here in Prince George. 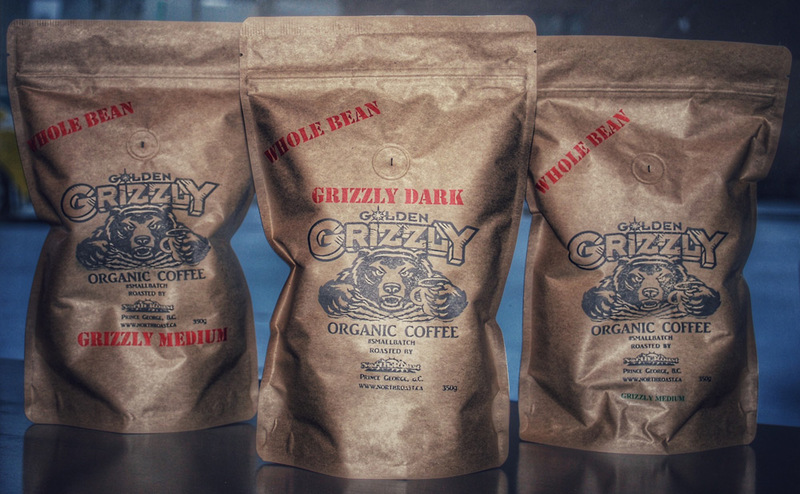 Dedicated to Small Batch, Fresh Roasted, Organic Coffee; Golden Grizzly Organic Coffees are Organically Grown and delivered within days of Roasting to our shop for your enjoyment. 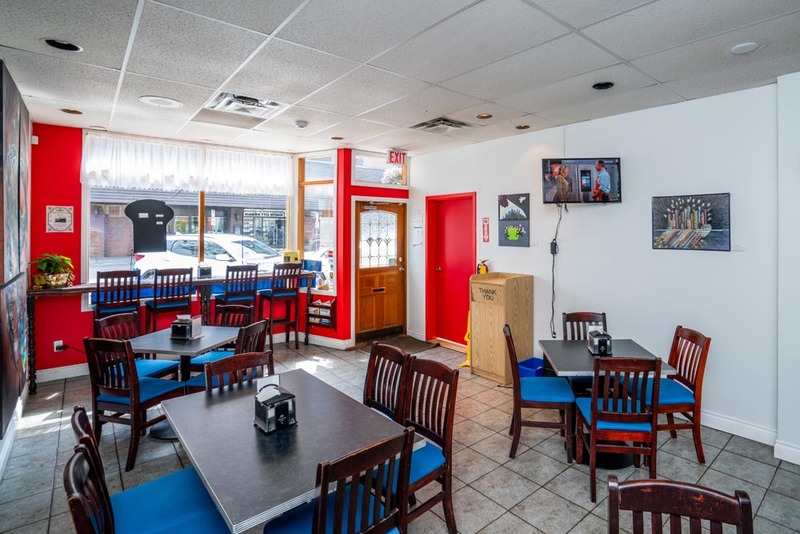 North City Donair & Poutine opened in March of 2017 to serve the great people of Prince George authentic Greek style donair kebab prepared the original way. 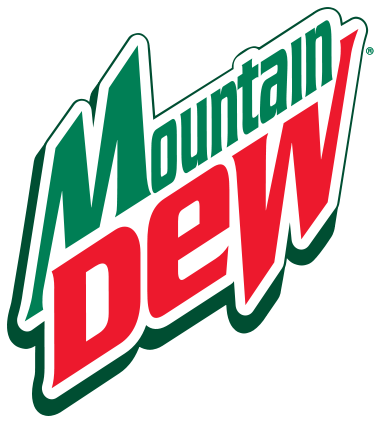 Our food is not processed. 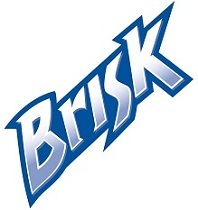 It is fresh. Real meat, fresh cut fries and our sauces & gravies are always fresh. Come down and check us out today! We are always excited to hear from our customers. Come down and join us at our shop or give us a ring by phone or email, we will be happy to discuss great things with you! Use the following form to email use directly with any question or request your have! © North City Donair & Poutine.